Item # 312734 Stash Points: 5,995 (?) This is the number of points you get in The Zumiez Stash for purchasing this item. Stash points are redeemable for exclusive rewards only available to Zumiez Stash members. To redeem your points check out the rewards catalog on thestash.zumiez.com. Your favorite low-profile skate shoe is back, in a bold new colorway. 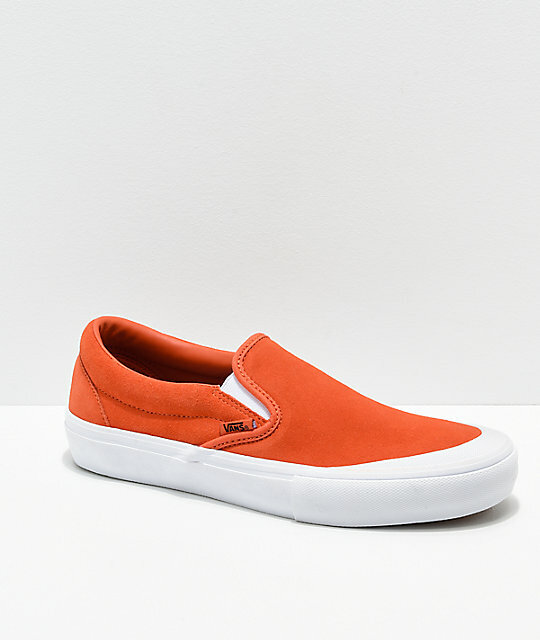 The Slip-On Pro Koi Skate Shoes from Vans feature a bright orange suede upper for a look that will set you apart from the rest. 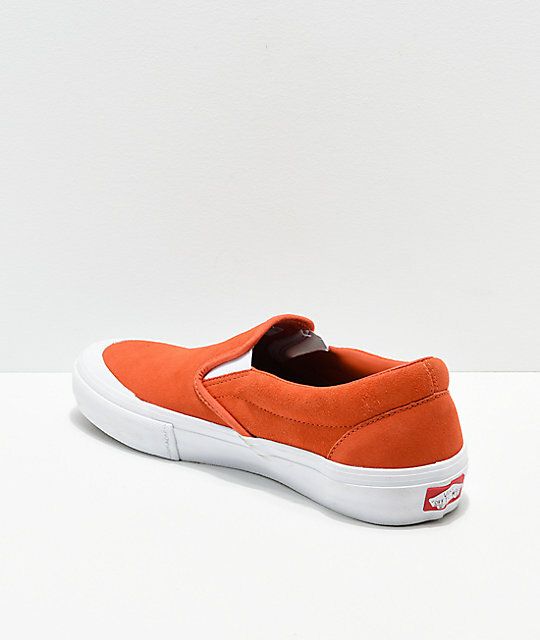 The Slip-On Pros are built with an UltraCush HD sockliner to keep your foot close to the board, providing impact support and cushioning. Duracap rubber reinforcements are placed in high abrasion areas, offering unmatched durability, providing premium skate performance for many sessions to come. 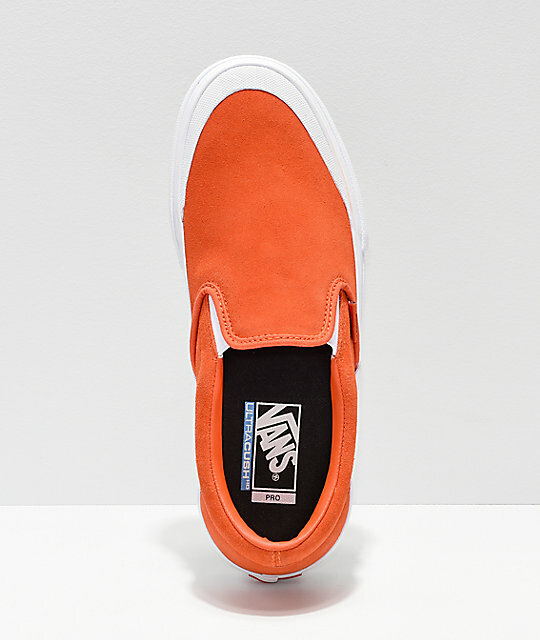 Slip-On Pro Koi Skate Shoes from Vans. 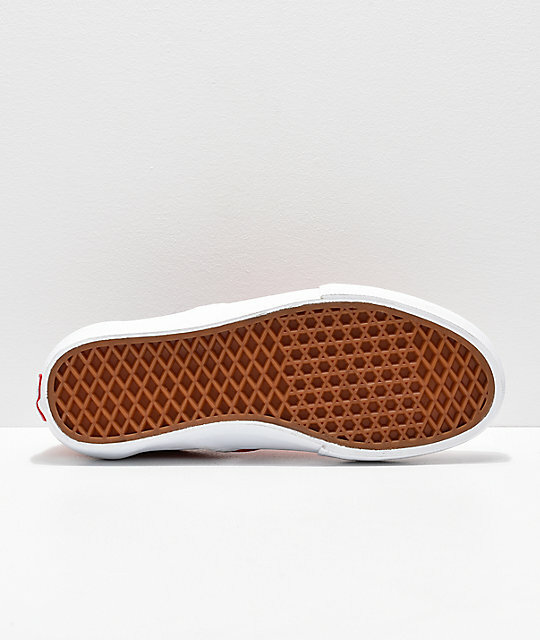 Vans' UltraCush insole for impact support with custom checkerboard and Independent logo detailing.